Public attention on natural gas price, which reflects the demand dynamics, is considered as a new factor to influence the movement of price. So investigate the impact of public attention on natural gas price is an innovative research issue in energy economics. This paper innovatively constructs a measure of public attention and examines its impact on natural gas price. A data set generated from Google Trends is used to measure public attention and then rigorous econometric models are applied to evaluate its predictive ability. The empirical study shows that (i) public attention is closely related to natural gas price, with contemporaneous positive correlation coefficient being 0.59, (ii) public attention leads natural gas price, (iii) the model including public attention data outperforms benchmark model. 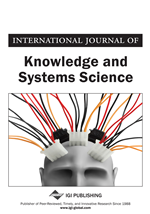 By using a more direct and representative way of forecasting based on the knowledge collected from the users, this paper also has important implications for applying Internet knowledge to improve the forecast accuracy of other energy price. Natural gas is one of the major energy resources in the world. It has been widely utilized in a variety of aspects, such as residential, commercial, industrial, and power generation. Natural gas is a commonly used fuel for residential cooking and heating, and an essential energy material for commercial electricity generation (U.S. Energy Information Administration, 2013). Therefore, the timely and accurate prediction of natural gas prices is of great importance. The natural gas price is determined by many complicated factors reflecting its demand and supply. Existing studies on natural gas price forecast consider traditional statistical data source like production, storage, import and export of this resource, as well as economic growth, oil price, and even weather (e.g., Buchanan et al., 2001; Mu, 2007; Brown and Yucel, 2008). However, little effort has been devoted to applying massive user data from Internet, which seem to be a more direct way to represent natural gas demand. To fill this gap, this paper puts forward a new perspective by incorporating user search data generated from Internet to represent public attention in order to improve natural gas price forecast accuracy.